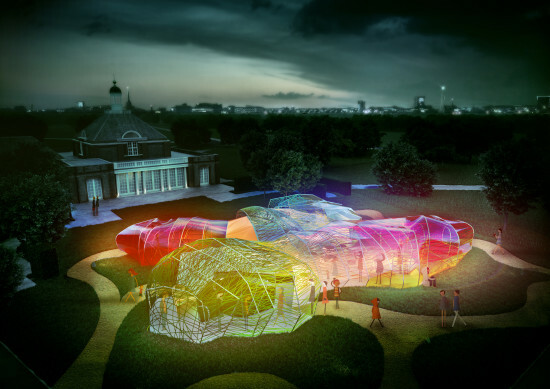 “We sought a way to allow the public to experience architecture through simple elements: structure, light, transparency, shadows, lightness, form, sensitivity, change, surprise, colour and materials,” SelgasCano said in a statement. “We have therefore designed a Pavilion which incorporates all of these elements. The spatial qualities of the Pavilion only unfold when accessing the structure and being immersed within it. Each entrance allows for a specific journey through the space, characterised by colour, light and irregular shapes with surprising volumes. 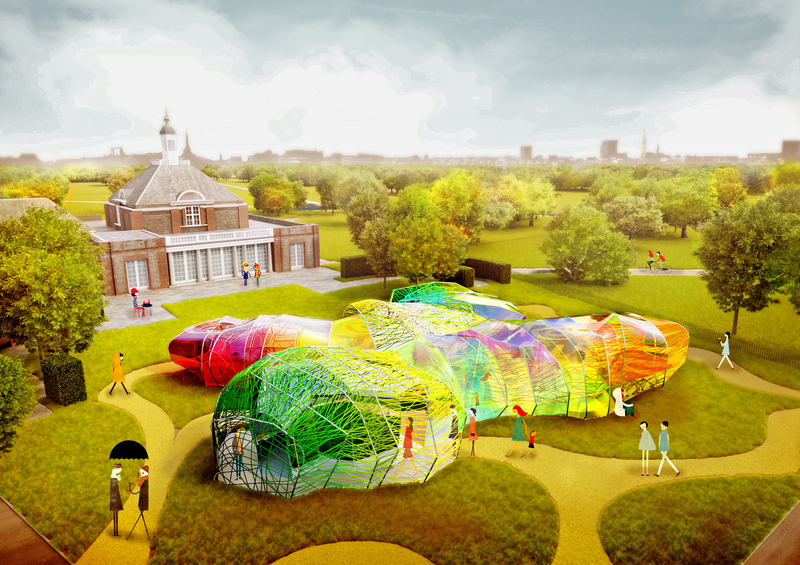 This is accomplished by creating a double-layered shell, made of opaque and translucent fluorine-based plastic (ETFE) in a variety of colours.” After people have explored the colorful space, they will find an open space cafe sited at its center. Over the summer months, SelgasCano’s pavilion will become the stage and centerpiece of Serpentine’s Park Nights—a cultural event held every Friday evening. 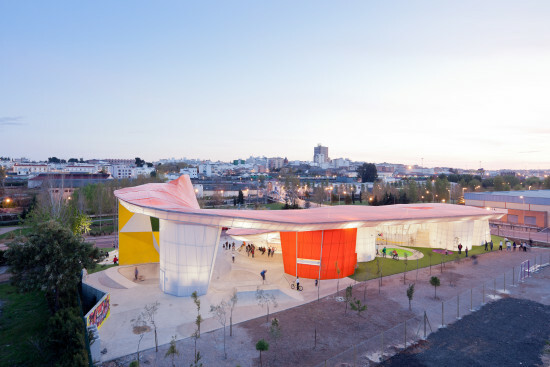 Previous pavilion designers include Frank Gehry, Zaha Hadid, Jean Nouvel, Oscar Niemeyer, Peter Zumthor, SANAA, and Toyo Ito with Cecil Balmond. Architectural Digest recently reported that last year’s pavilion by Chilean architect Smiljan Radic has been moved to the gardens of Hauser & Wirth Somerset a few hours outside of London.